According to news the recent California Online Poker bill amendment is vehemently opposed by the Poker Player Alliances as it could ban PokerStars for a period of not less than 5 years. 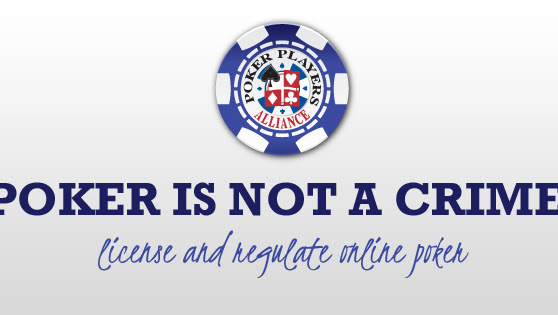 The Alliance (PPA) is not at all inclined to accept the new amendment to the bill AB 2863 on California Poker and the altered bill was deemed illegal for 5 years and now it could ban any site that is operating in the USA. This would mean the demise of PokerStars as it cannot join the party though it has been a main player in America during the pre-Black Friday saga. The amendment was made at the last minute to find the bill a better chance to go through by a potential Monday vote in the State Assembly. But the opposition to the bill was very strong that also included the Poker Players Alliance. The PPA also advised the lawmakers to reject the changes and in the Thursday press release they said that the restrictions imposed by the amendment would leave dissatisfied players and would also make the AB 2863 difficult to pass. The executive director or PPA, John Papps remarked that the associated was very disappointed that Chairman Adam Gray chose to play politics to appease vested interests. He further quipped that the amendment proposal threatens the existence of iPoker legislation which the association has been advocating for the past several years and the association has been consistently making appeals to the law makers to make the internet poker play legal and license it since a debate was started nearly a decade ago. John said that all these time the message from the association has been constantly advocating promoting competition and protecting the consumer interest however the proposed amendments by Chairman Gray has hugely undermined the principle unfortunately.